San Jacinto is located in San Pedro Necta, Huehuetenango and consists of three small producers: Jacinto Pérez Sánchez, Francisco Pérez Sánchez and Rudy Pérez Sánches. All three work with their coffees in a very clean and neat way. The area encompassing San Jacinto starts at 1650 and ends at 1700 masl. Varieties in this area consist of 70% Bourbon and the remaining 30% is a mixture of Caturra and Pache. The group have a late harvest due to the altitude, so the harvest season goes from the beginning of March to the end of April. There aree two rounds of picking and the coffee is handpicked and sorted by the members of the family, which also operates their own wet mill. The coffee is dried on their own patios. Bella Vista is able to get these coffees with the help of Byron Benavente, who helps outsource coffee from the region San Jacinto is located. Byron has facilitated consulting for the group that helps to improve their agricultural management and processing at the wet mill. Luis Pedro Zelaya Zamora (LPZZ) is the fourth generation in his family to be working in the coffee business. The Zelaya family’s first farm was Carmona, followed by Bella Vista, which where the wet, dry mill facilities, and Zelcafé staff offices were later built and are currently located. For many years, the family’s business focus was on commercial coffee production and export but in 2000, LPZZ began developing and changing Zelcafé’s focus into specialty coffee/microlots, with the support of some early clients. Over time Zelcafé has been able to successfully transition the business into solely focusing on specialty coffee. For the Zelaya family, their coffee endeavours are not only about business; their aim is to provide a good basis for generations of their family and community to come. With this in mind, they are constantly looking for ways to provide jobs to as many families in their communities as possible, as well as supplying the best quality coffee they can to their clients. 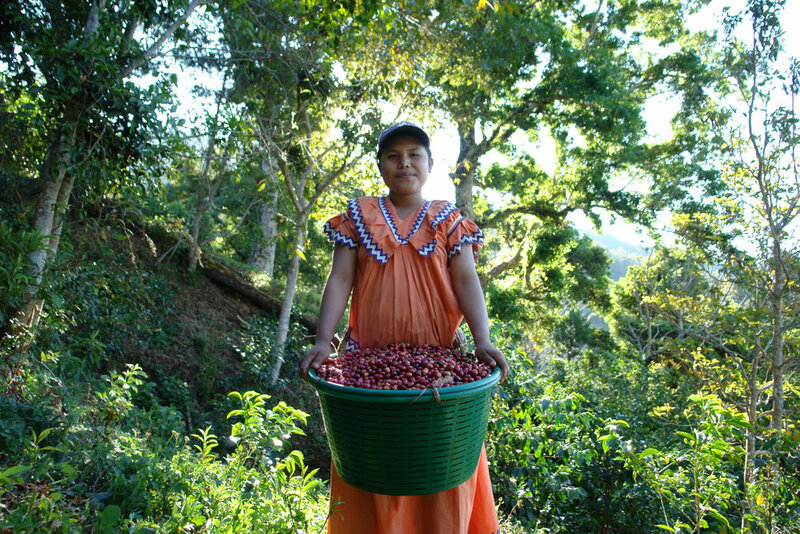 The family has worked with small producers in Antigua since they first started coffee farming. New relationships almost always come from introductions from families already working with the Zelaya family, ensuring close and stable partnerships. In addition to buying cherries from farms, Bella Vista also manages estate farms that owners don't want to sell but don't know how manage themselves. The Bella Vista team take care of all the planning, execution and monitoring of the resources each farm they own or manage have: human, technical, financial, and knowledge/training. In the case of the small producers that they buy cherries from, the team not only buy cherries at a premium, they also provide technical assistance and the financing of inputs. Bella Vista is constantly looking to improve its agricultural activities to reduce chemicals to a minimum and in turn share their scientific knowledge with other farms. Bella Vista continuously encourages its workers to get proper education and in special cases, finances education for some of them. The facility also often offers workshops on different topics. 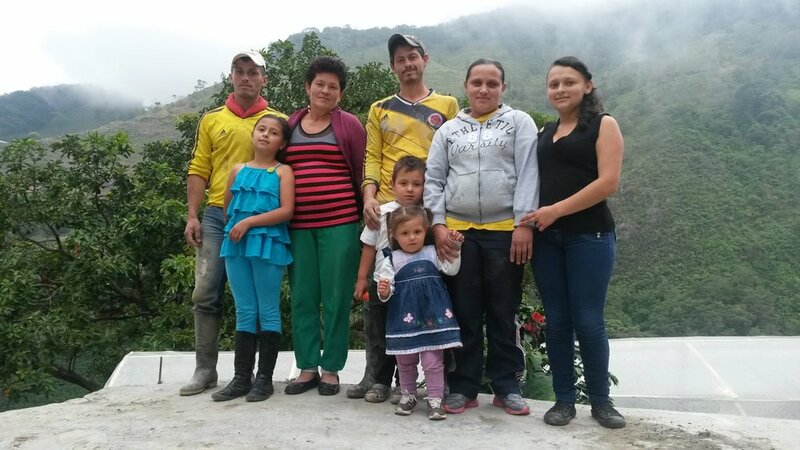 The Zelaya family farms all have C.A.F.E Practices implemented and in the coming years the family will try to implement a WaSH project at one of their biggest farms. Other future plans include research on water treatment and the building of treatment plants and hopefully, the construction of another greenhouse. Carmona is has been in Maria Zelaya’s family since 1910, when it was purchased by Maria’s grandfather, Luis Pedro Aguirre. Mr. Aguirre passed the farm on to Maria’s mother and now Maria is the third generation owner and manager of Carmona. From its initial green coffee yields of 200 bags (46 kg) production has increased to a high of 2700 (46 kg) and continues to grow. In addition to coffee production, the farm specializes in Holstein cattle, which international juries have classified as the best dairy cattle in Guatemala. Carmona’s cattle production benefits its coffee production in part through the fertilization of its coffee plants with the manure the Holsteins produce. While the manure is complemented with chemical fertilization, it greatly reduces the need for chemical fertilization to a minimum. Maria’s farm has been growing coffee in conventional and old-fashioned ways with one devastating result that in 2012, it was strongly attacked by Roya (or “coffee rust” disease). It was then that Maria realized she needed to change Carmona’s agricultural management in order overcome the disease. With the help Luis Pedro and Ricardo Zelaya, Maria started working on tissue management, plant nutrition and pest/disease control. So far these efforts have resulted in bigger yields, healthier and renewed plants, and a return to the same excellent quality coffee she has been delivering to her clients year after year. Hunapu means "mountain flower" in the K’iche language (the most widespread of the indigenous languages in Guatemala) and it is also the indigenous name for Vulcan de Agua, a volcano located near the city of Antigua. At the foot of the volcano, the processing mill Bella Vista is located. Bella Vista is a farm and a wet and dry mill. The Spanish term for this type of facility is "beneficio". Hunapu is a blend of coffee created at Bella Vista and it is made up of different small producers who own small 1-4 hectare farms around Antigua between 1500 and 1800 meters. Hunapu coffee is sorted into day lots/picking dates. Specially selected coffee farmers deliver their harvest projections in the afternoon and this amounts to about 1-10 bags of cherry from each producer. After delivery to Bella Vista, the coffee is wet processed and fermented for 24 hours before it is dried on the patio. The majority of this coffee is of the Bourbon variety. Potrero is a farm with a lot of history. It has undergone many ownership changes throughout its past. The original owner of the farm was Sara Arroyo Herrera de Olivero and she divided the farm equally amongst each of her four children. In 2011, Luis Pedro Zelaya took over agricultural management of two areas—Potrero 1 & 2. Coffee produced from these lots are now processed and milled at Bella Vista, Luis Pedro’s processing facility. The change in management of Potrero has significantly helped to improve the quality of the coffee produced at this farm. María Regina Ponce de Leal is the owner of Santa Cruz and we believe hers is one of the best and most beautiful coffee farms in Antigua. It is located right on the border of Antigua and boasts a spectacular view of the city. Also unique to Santa Cruz is the preservation of an old church, which provides the farm with a very “Antigua-esque” ambiance, matching the city’s ruins and other old buildings. Ms. Ponce de Leal is concerned with keeping the church on-site; in preservation of Antigua’s history and aesthetic. Luis Pedro Zelaya has managed this farm since 2004 and his wet and dry mill – Bella Vista – is responsible for the processing of Santa Cruz’s cherries, which are handpicked from December to April. The weather and altitude in Antigua are invaluable inputs to obtaining the high quality coffee we now expect from this farm, and the agricultural activities performed here contribute heavily to the quality of the coffee produced. Since Luis Pedro took over the management of the farm, it has gone through major renovations, including the planting of new coffee shrubs and an extensive shade cover system. The farm produces the Typica, Caturra, Villa Sarchi and Bourbon varieties. Most of the production is Caturra and Bourbon and all the coffee we have chosen this year is of the Bourbon variety. Fun fact: on the farm is a tree that is over 100 years old and still producing fruit. Folie is one of the most beautiful and organized farms we work with in the Antigua region and also produces great quality coffee. We have established a good relationship with this farm and expect this partnership to continue growing in the long term. Folie is owned by Mary Ann de Urruela and has been managed by Luis Pedro Zelaya since 2003. Coffee has been planted for more than 50 years and good management has led to increased yields: ten years ago the average was about 1500 (46 kg) bags of cherries but since 2005, the yield has increased to 7000 (46 kg) bags. In addition to coffee production, La Folie is also a storehouse for the breeding lines of certified seeds Bella Vista sell. Back in 2012, Robert wrote about how the changing Brazilian economy was impacting the business of making specialty coffee from labour availability and minimum wage, to pondering the impacts of strip picking vs. hand picking, to differences in topographic and climatic conditions between microregions and how they potentially affect cup quality. This past August during our regular post-harvest visit, David and I were met with a Carmo de Minas that had been dealing with La Niña early on in this year’s main harvest season. This weather event brought extremely heavy rain, which led to a lot of challenges, including surprises at the cupping table. For the first time, we were faced with defects, which we never would have imagined experiencing at these particular cupping tables. This base assumption alone, of expecting not to come across a single defect in the hundreds of cups that were presented to us, speaks to the incredible reputation that Carmo Coffees has built over the years. And why we continue to work proudly alongside this team. There’s no getting around the fact that in comparison to previous years, finding this year’s offerings proved to be an unexpected challenge. Great coffees were there for the taking but we’re used to dealing with the luxury problem of getting to pick and choose amongst dozens of great lots. This year, there were quite a few phenolic defects to contend with, which Luiz Paulo (co-founder of Carmo Coffees, coffee farmer and researcher) hypothesized had developed as a result of the severely increased volume of rain, which leads to an environment ripe for bacteria growth. In Brazil, coffee cherries dry on the trees (due to the common practice of strip picking), so when the rains come, the cherry skin stretches and tears a bit allowing some outside water in as the fruit swells. As the cherry shrinks back down and the skin of the fruit heals over, there is a higher chance of phenol forming inside the coffee. One of the many frustrating things about the phenol defect is that it is not something one can physically see on the surface of the bean. It is a cup character flaw that makes a coffee taste medicinal, metallic and astringent. To be clear, the Carmo team does an outstanding job cupping, sorting and milling every single lot they work with. But this year the team was faced with the battling: 1. Cupping through and finding the best lots possible amongst an overall disappointing harvest and 2. Dealing with an elusive defect, since phenol is not something that can visually be detected. There are many reasons we have confidently worked with the Carmo team over the years, above and beyond the awards and accolades their coffees and partners’ coffees have received throughout various cupping competitions year after year. Despite the fact that their reach (with the number of famer partners they work with) and the volume they export has grown exponentially, the team remains resolutely committed to being amongst the most innovative coffee exporters in the world. One example is their continued collaboration with Dr. Flávio Borém of Lavras University, a coffee scientist who studies everything from how microclimates impact cup quality to how different types of packaging (e.g. vacuum vs. grain pro) best contribute (or not) to a green coffee’s shelf life. He even recently published a very well-received book about the research he’s done on packaging, along with other findings on how post-harvest activities contribute to green coffee quality. Actively engaging with, along with supporting, this kind of research is a marker of at least a savvy specialty coffee exporter. But actually contributing to specialty coffee development is a different category altogether and is an even bigger draw for us. One thing is supporting research efforts and using evidence-based knowledge in forming best coffee farming, milling and export practices. If an exporter were to stop here, it’d be safe to say that you’re working with a reliable and trustworthy partner. When that partner goes further and has ambitions to disruptand challenge basic assumptions about what a coffee sector can do, well, now we’re getting into straight-up maverick territory. Brazil is known for being an efficient coffee producing country, but it’s no secret that it’s also perceived as being a bit of a boring origin with good but uninteresting coffees. Its well-developed infrastructure, professionally managed farms and high yielding trees are a double-edged sword within the specialty coffee community, which favours the most innovative, boutique and most unique. Perhaps there’s a way to achieve both? Without giving too much away, since things are very much in the development stage, Luiz Paulo introduced us to some very promising and exciting experiments he’s conducting at his mother’s farm. He labels this series of projects “New Flavors” and it encompasses the latest innovations in processing and varieties. We’ve already selected and offered (based on blind cupping) two lots based on green/unripe coffee cherries that underwent special fermentation techniques to draw out more sugar content. These coffees cupped as well as many other pulped natural we’ve chosen and the fact that this technique can potentially add value to coffee that is normally discarded is an enticing prospect. Especially when the industry is faced with declining worldwide Arabica production due to the ever increasing consequences of climate change. In two years, Luiz Paulo will be harvesting the first of the new varieties he’s been cultivating under New Flavors. Very much looking forward to cupping and sharing those with you in the near future! What Makes a Great Origin Partner? While in Colombia several weeks ago, David and I explored a new microregion that we have high hopes for working extensively with in the future: Acevedo, a municipality located in the southeast corner of the Huila department. When we originally made our travel plans, the idea was to travel when we could cup through the best of the main harvest, which usually takes place between May to July in South Colombia (‘mitaca’/fly is usually in November). But given the many and devastating effects of El Niño this year, the peak of harvest had not yet occurred. In many cases, farmers experienced little to no harvest at all during the main harvest period and were only starting to see mature cherries by the time we arrived in late August. We were presented with some excellent lots anyway, which are now making their way to our East Coast US warehouse in NJ, and this speaks to the quality of the producers we met throughout the week we spent in Acevedo. We’ve met great people who have provided us with good to great coffees from various departments in Colombia throughout the years, but for one reason or another, we’ve had difficulty finding partners that are just the right fit for us. Colombia was a bit of an elusive origin for us until we started the wonderful partnership we’ve been developing with the always innovative and exceptional team at La Palma & El Túcan over the last two years. But given the boutique nature of their projects, we wanted to find an supplier/exporter who could provide us access to a larger group of small producers growing exceptional coffee with goal of working on a long-term basis. New partnerships for us, while not always entered into slowly (though they sometimes are) are always very thoughtfully considered. We are not only looking for the best cups from one harvest; we are looking to invest our time and energy (and business) into teams who share our value of building long-term relationships based on mutually beneficial goals, such as understanding what quality is and all that it requires. Put in a different way: there’s a big difference between working with a supplier that will try to do whatever you ask in order to get your business, and one who has confidence, their own ambitions, and the knowledge they’re providing you with their very best efforts and coffee. The work of the coffee grower is the focal point in almost all discussions about origin and coffee production. There are good and very obvious reasons for this. Some of our strongest partnerships are with the people who own/manage coffee plantations and we both love to highlight and want to share their work with as many roasters as we can reach. In some cases, the most important partnership at an origin is with the exporter. Even in instances where the farm(er) is the basis for a relationship, the coffee simply wouldn’t reach us in the shape we expect if not for the work of a dedicated exporter. Sometimes the farmer and the exporter are one and the same but very often, they are separate. Just as we provide more than logistical services to roasters, exporters provide a vital and wide array of services both to us, as well as to the farmers we buy coffee from. At its most basic, the work of the exporters we buy coffee from include quality control, packaging, and the organizing and handling of the export process. In several cases they do and have to be involved with much more, bringing me to the introduction to our new export partner in Acevedo. Alejandro Renjifo, Fairfield’s founder and president, has a background one might not expect from the person that led us along bumpy dirt roads for four hours every day during the week we toured in and around Acevedo meeting with potential (and in some cases now, actual) farmer partners. In his former career as a coffee economist, Alejandro held long stints at both the International Coffee Organization (ICO) and the Federación Nacionale de Cafeteros de Colombia (FNC). One highlight from this past experience is that during his time with the FNC, he was the one to launch its specialty division for North America (!). This background alone, while impressive, isn’t what inspires our confidence as a coffee importer. What has mostly struck us about the Fairfield team is that they value and have cultivated excellent palates as well as possess a keen sense for how to forge good and personal relations with each and every smallholder with which they work. Spending the first half of each day cupping the farmers’ coffees that we later visited, it was easy to see how much thought and planning had gone into each table and subsequent visit. It wasn’t just that the coffees presented matched the farmers we later visited; it was specifically that the coffees were so obviously targeted toward what the Fairfield team thought we’d be interested in both from a cup perspective, as well as the people who made the coffees likely being good matches for us on interpersonal levels. Understanding and finding the balance between these two elements requires great skill. Some of you reading this know that we are proud of the partnerships we’ve forged throughout the years with the farmers we work with in Santa Barbara, Honduras. All the coffees we buy from this microregion are consistently good to excellent and the transformations we see each year not only on the farms, but in the wider communities as a result of the investments our partners are able to make from the premiums we (you) pay, brings us and our partnering farmers endless pride and further drive to work even better. The reason I bring up Santa Barbara here is because David had noted similarities with the people he met in Acevedo during his first visit in May, in terms of the atmosphere of the community and the people’s ambitions, to our partners in Santa Barbara. The idea that we could be at the beginning of this caliber of partnership in Acevedo is as exciting as it is motivating. The CCS Acevedo Cup can’t come soon enough. When a farm and its owner have the kind of reputation and following that Finca Elida and Wilford Lamastus do, it's impossible to 'stock' such coffees. Instead, the few coveted lots we receive from Elida each season are booked by roasters who send in their requests early in the harvest season. The estate is one of the highest located coffee plantations within Panama and coffee is shade grown in rich volcanic soils. More than half the estate is surrounded by private forest reserve and Volcan national park: home to many native species of plants and birds (over 200 species). Shrubs receive fungicide and hand-applied chemical fertilizer 2-3 terms per year and no herbicides are used. Robert first met Wilford and his family 10 years ago when he was hunting (as he usually is) for unique coffees produced by people who possess that magic combination of ambition, merit and a long-term vision, which we are always in search for. The Lamastus family met all of these criteria in spades. Wilford is a third-generation producer, self-identifying as being "born" a coffee farmer; he fondly remembers using the trees planted in between the coffee on the family's 1.5 hectare plantation as a playground along with his four brothers. Coffee is and always has been his life's calling and the tradition only continues with his son who is currently learning the family's trade in pursuit of his own career as a coffee producer. What sets the Lamastus family apart is their vision of Elida's niche within what we like to call high-end specialty coffee. In Wilford's words, "the super-specialty coffee industry is dynamic, challenging, competitive, innovative, there are always new players doing something new in thousands of super-specialty coffee farms around the world to improve quality. Therefore, every year we do something new in the mill and the farm to improve quality." To remain atop this field, the Lamastus family invests in a lot of research in processing techniques, particularly in drying and resting methods, such as the ideal drying periods and storage facilities for parchment. Since the Panamanian coffee sector does not fund a research program or lab like many other countries have, the Lamastus family, their neighbours and colleagues belonging to the Specialty Coffee Association of Panama (SCAP) are constantly getting together to discuss each others' methods and new projects. There is a good sense of community and collaboration within the SCAP. Elida has established itself as one of the most highly regarded specialty coffee estates in Panama. It consistently ranks within the top-10 at the annual Best of Panama competition, placing 3rd in 2007 for the non-geisha competition; it is highly sought-after by specialty roasters the world over; it placed amongst the top 30 of 350 submitted to SCAA in 2005. The Lamastus family, growers for the past century, is an experienced and proud coffee family that is continually investing in and seeking new ways of improving their already stellar coffees. In addition to all the ongoing research, Elida is in the first of a very ambitious six-year plan to completely re-plant the farm with the geisha variety. Right now the farm is made up of 80% catuai, 15% geisha and 5% typica. Elida's sister farm, El Burro, is already 90% geisha planted. Of course, cup quality doesn't stop at experimentation and variety make-up: ensuring quality requires vigilant and non-stop cupping, which Wilford and his team are adamant about. On the social side of Elida's projects, the farm is undergoing a restructuring and updating of its employees' living quarters. And during picking season, the children of the indigenous Ngäbe-Buglé pickers are provided with an education in an on-site classroom which has a capacity for 20 students. Cherries are handpicked and processed using one of three processes: demucilaged-washed, honey, and/or a natural process. The mechanically washed coffee system produces zero-water discharge, meaning the coffee used for washing is mixed with mucilage and pulp to be used later as fertilizer. In the natural process, cherries are dried in their pulp and require 10 days of drying to achieve 10% humidity. With all three processes, daily harvests are identified and kept separate, with volumes ranging between 1-10 bags (green); averaging around 5 bags. Sometimes batches are combined after they are later cupped and are judged to be similar in cup profile. Once cherries are harvested, they are sun-dried at low temperatures for 10-12 days. All these factors, combined with the high elevations, lead to a longer cherry development period, which express in intensified flavours in the cup. Once coffee is dried, it is stored or “in reposo” (i.e. resting) from between 75-100 days in order for the coffee to reach “full development”. The week before shipment, parchment is sorted using both a desimetric (oliver) machine and is further selected by hand. Before 1999, La Esperanza was run by his mother where she planted beans and green peas. However, she was recommended by the Coffee Committee that she should switch to coffee. Today, Jhon and his wife Ana Rosa are responsible for the farm and the crop and have been producing coffee for the past 15 years. The type of “beneficio” used for his coffee is humid, meaning the water used comes from their own aqueduct. Within the farm, a water creek is born and that ́s where the water for irrigation and processing comes from. There are also intercrops of bananas, beans, corn and plantains. Gathiruini washing station is part of the largest Cooperative Society of Kiambu county. Together with Riakahara, Barikongo, Kagwanja, Kirura, Korokoro, Githongo, Thiururi, Kaibu, New Thuita, Kanake, Gatuyu and Kamuchege factories, the Komothai Cooperative Society gathers over 9,900 active members. Together they produce over 170,000 kgs of clean coffee annually. Farmers take ripe cherries to be processed in centralized wet mills, where they are pulped, fermented, washed and sun dried. Dry parchment is then moved to a dry mill for further processing and grading before reaching the weekly auctions in Nairobi. Coffee production in Kenya dates back to the late 1880’s, when is thought to have been brought by the French Missionaries to the Taita Hills area. Introduced into the Kiambu district in 1896, it found a great combination of altitude, soils and temperature that results in the high quality for which Kenyan coffee is known for around the world. Still today, the biggest coffee growing area spreads from Kiambu, on the outskirts of Nairobi, up to the slopes of Mount Kenya. The Counties in this region also known as Central Kenya – Kiambu, Kirinyaga, Murang’a and Nyeri – have an annual production of around 39,000 metric tons of green coffee, which counts for almost 70% of the national production. Other coffee growing areas are: Machakos (Eastern Kenya), Bungoma (Western Kenya) and Kisii (Nyanza region) but volumes are significantly smaller. Although patterns may differ from area to area, Kenya is generally known to have two main rainy seasons which dictate two crops. Long rains happen from March to May, while a shorter rainy season happens around October. The dry spells that anticipate those trigger two flowering periods: February/March for the country’s main crop, and September for the early/’fly’ crop. That means coffee will be harvested from September to December for the main crop, and from May up to July for the early crop. While central areas are able to produce and deliver coffee in both seasons, Machakos, for example, is known for producing almost only during early crop. Soils are volcanic and very rich in organic matter, and the altitude in coffee growing areas ranges from a minimum of 1280m in Embu, Eastern part of Mount Kenya region, to a high of 2300m in Nyeri, on the Western slopes. Approximately 55 % of all coffee production comes from smallholder farms, but that can vary from area to area (Kiambu 14%, Kirinyaga 72%, Machakos 80%). Smallholder farmers are organized in Cooperative Societies, these own the wet mills where farmers deliver ripe cherries. At wet mills (also known as factories) cherries get pulped and ferment for approx. 24 hours. 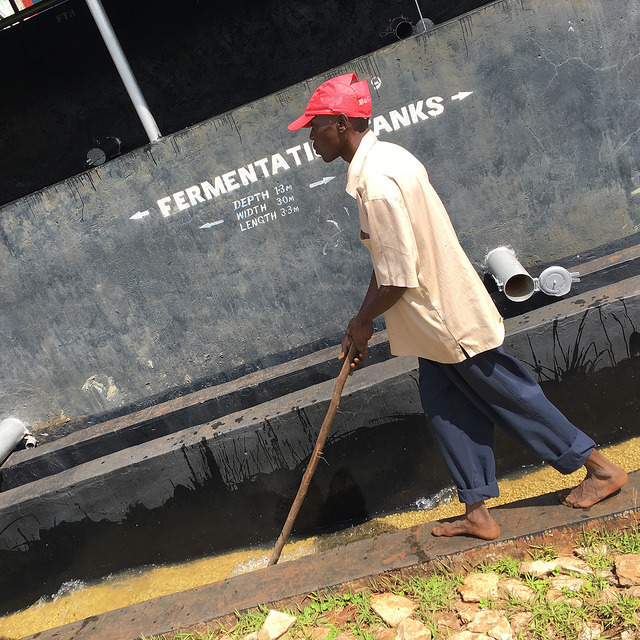 After fermentation, coffee is then soaked in tanks full of water and washed in channels. Still at the washing state, coffee is graded in P1 (heaviest parchment), P2 and lights (floaters); and any remaining cherries are removed and processed separately. Coffee is sun dried on raised tables and drying can take up to 3 weeks. At night and during the hottest periods, parchment is covered so that drying is homogenous. Dry parchment is then delivered to a centralized dry mill to be processed, screened and marketed at the weekly auctions in Nairobi. Kiangai village is located 7 km from Karatina bordering Nyeri and Kirinyaga counties. Farmers use the Kiangai washing station which is part of Kibirigwi Cooperative Society together with another 8 factories (Ragati, Nguguini, Mukangu, Kibingoti, Thunguri, Kianjege, Chewa and Kibirigwi). This is a large society with approximately 7,200 active members producing 750,000 kgs of clean coffee annually. Farmers take ripe cherries to be processed in centralized wet mills, where they are pulped, fermented, washed and sun dried. Dry parchment is then moved to a dry mill for further processing and grading before reaching the weekly auctions in Nairobi. Nowadays, approximately 55 % of all coffee production comes from smallholder farms, but that can vary from area to area (Kiambu 14%, Kirinyaga 72%, Machakos 80%). Smallholder farmers are organized in Cooperative Societies, these own the wet mills where farmers deliver ripe cherries. At wet mills (also known as factories) cherries get pulped and ferment for approx. 24 hours. After fermentation, coffee is then soaked in tanks full of water and washed in channels. Still at the washing state, coffee is graded in P1 (heaviest parchment), P2 and lights (floaters); and any remaining cherries are removed and processed separately. Coffee is sun dried on raised tables and drying can take up to 3 weeks. At night and during the hottest periods, parchment is covered so that drying is homogenous. Dry parchment is then delivered to a centralized dry mill to be processed, screened and marketed at the weekly auctions in Nairobi. Previously known as the Muathe farm named after the family’s matriarch, Ndocha Estate is now owned by siblings and run by Peris Karungongo. The farm has seven permanent workers and casual workers during picking season, varying from from 10 to 12 workers off peak and up to 80 during high season. Ndocha Estate has 4 different ‘blocks’ totalizing 29 hectares with a many as 15,000 coffee trees of traditional varieties. As a coffee farmer, Daniel's interest in the sensory evaluation of coffee was once a rarity. The custom at Hacienda Esmeralda has always been to pick coffee berries as they ripened, plot by plot, but all the coffee from Jaramillo was mixed. It was only in 2002 that Daniel became aware that it was the few plants (3%) on the farm of this special varietal, which elevated the overall fresh acidity of the whole lot. Daniel began to selectively pick and separate the berries that he considered to be the particular varietal creating this unique aroma and flavour. This is where the new era begins. Daniel is a meticulous, curious and ambitious person. When we visited him in 2006, we were presented with a coffee that he had put great pride in “making”. Daniel had selectively picked from the areas on the farm he had presumed to be the best. He then tasted his way through the coffees, selecting only the best, mixed the small lots, and sold it as Esmeralda Special Geisha. Winning the BoP every year from 2004 to 2007 would suggest that this was not a bad strategy. But we wondered if it would be possible for us – who would buy his coffee anyway – to taste the day lots, from different areas of the farm separately. Given that the characteristics would be slightly different from area to area, from early to late in picking season, we would thus be able to select the best of the best. To begin with, Daniel wasn’t sure of idea of letting us have this opportunity. He had, after all, taken great pride in finding the best, and then creating (by blending) the best of the best. But the following year Hacienda Esmeralda agreed to this strategy. They even put up an auction where they offered small lots from all areas, with different picking dates. All were from Jaramillo, everything was Geisha, but all the lots were a little different. It was a success! The early Hacienda Esmeralda Special Geisha offerings have become an exercise in showing the different characteristics and potential of a single varietal; with aromas ranging from highly refined bergamot to jasmine; flavors varying from stone fruit sweetness to citrus acidity, and different mouth feels – and all from a small geographical area. Prices at auction have also shown that subtly different attributes attract different buyers, and show that roasters are valuing those attributes very differently. This auction has now become a yearly barometer for the value of The Geisha Coffee from Boquete in Panama. The Coffee World can consider itself lucky that this single piece of land, a small coffee farm in Jaramillo, Boquete, ended up in the Peterson family’s hands. In such a short time, the trend in the specialty coffee world has gone completely parallel to this story: this practice is no longer unique to Hacienda Esmeralda. In that sense, this is also the story of the development of specialty coffee in recent years. Daniel’s work and his impact on specialty coffee are undeniable. The Peterson family of Hacienda Esmeralda have helped us to define the true value of truly good coffee: it’s about its taste. And that is priceless. Since 2005, Santa Barbara, and the small producers living and working there, have shared the distinction as the place and the people producing exceptional coffee within Honduras. Our work and the beginning of the on-going relationships we’ve since established here began during the 2005 Cup of Excellence. We came to realize that there are exceptional producers from this small area. And since that inaugural year, we have purchased from over twenty different Santa Barbara producers. We met Eulogio in 2008, while visiting producers at San Vincente we were already working with. We are always looking for new, innovative and diverse producers and because Eulogio was the first producer to develop the Pacamara variety in Santa Barbara, we were interested in cupping his coffee. His coffee proved to be quite unique with a lot of acidity – albeit unbalanced – not found in any of the other coffees produced by our other partners in Honduras. We decided to buy his lot that year, both because of the potential we saw in it and because we did not want to see it wasted by going into an export mix. Each year since, we have visited with Eulogio and discussed processing and quality – specifically the need to be even more selective in his cherry selection than before. His coffee has shown tremendous improvement and is cupping more balanced this year. We look forward to even better quality in the seasons to come. The villages Cielito, Cedral and Las Flores follow one after another along the mountain range in Santa Barbara. Grown on this hillside is mostly Pacas, a coffee species akin to Bourbon, as well as Yellow Catuaí and Pacamara. It is challenging to process coffee cherries in areas like these, which are close to the jungle and thus, to rain. The drying process, in particular, is especially demanding. But when these processes are precisely controlled, seemingly problematic factors (like drying under challenging conditions) are what make coffee from this area particularly interesting. The coffee produced here cups with flavour attributes not found anywhere else in Central America. Neptaly lives on the border of El Cedral, very close to El Cielito, where he owns another small plantation, planted with Pacas bushes. We first met Neptaly at San Vincente in 2009 and have bought from him since. Throughout our partnership, we have had several discussions about how the potential of producing even better quality coffee through investments in his own facilities, especially drying beds. We have seen improvements each year in the quality of the green coffee coming from Jazmin and this year is no exception - the quality of his coffee has improved substantially this year. We have known each other for several years now, and it has become a good friendship and sustainable partnership for both of us. Neptaly is one of the greatest representatives to exemplify the wonderful improvements in Santa Barbara in recent years. he has the resources to buy the fertilizer he needs and he applies it in timely fashion, which is very important. he manages the picking team of 12 seasonal workers (cherry pickers) during harvest to ensure a good quality. Red picking is key and in working with Neptaly, the pickers really understand the importance of quality! he has built his own processing facility after he decided to do it by himself, not with his brother in-law as previously. He now with full control. he has built a new parabolic/solar bed for drying his coffee, just like the Moreno brothers, so he is more in charge of that process too. he has bought a new little piece of land so he can plant more coffee trees. he has built a new house in the city so his children can go to college there. he doesn't own a car but he has just bought a motorcycle so he can get around more easily. Neptaly has two farms (less than 1ha each). The one that has the best coffee is an hour’s walk away from his farmhouse. So during picking season, cherries are transported by mule to the processing facility. El Pozo is located in the micro-region of El Sauce and Mr. Edwin Pineda has decided to focus on producing high quality/specialty grade coffee. To this end, he processes his own coffee at his father-in-law’s wet mill, located in the town of El Dorado, Santa Barbara. In addition, he has invested in raised beds and dries his own coffee – a practice not yet commonplace amongst the farms in Santa Barbara. El Sauce is a micro region that is increasingly becoming renowned for high quality coffee within Santa Barbara. It is a region that has been represented well at Cup of Excellence. Edwin is a newer partner for us and we believe he has the drive and ambition to produce ever-increasing quality coffee, as evidenced by the investments he’s made in his facilities and due to the care he’s shown in the processing of his coffee.